The discovery of serious criminal conduct within an organisation can be catastrophic and at the very least present a major distraction from the company’s core business. A number of events can give rise to the uncovering of wrongdoing. Typical examples include the discovery of irregular payments during an annual audit or when conducting due diligence during an acquisition or merger; or allegations made in an employment dispute or by a whistleblower. Such events often lead to an internal investigation. There are some key considerations that could reduce a company’s exposure. Internal investigations should be sensitively handled and need to strike a balance between protecting the interests of the company, its directors and staff, while avoiding exposing the company to accusations of trampling over the crime scene and/or failing to disclose material to its regulator. It should be remembered that an internal investigation report could end up in the hands of the Serious Fraud Office (SFO) or an overseas prosecutor such as the US Department of Justice. Lawyers with experience of criminal trials will know the importance of managing an internal investigation properly. There is a risk that an investigation can become too wide and unfocused. There can be a tendency to view events that may have happened some years earlier through a prism tainted by the knowledge that those events were potentially illegal. When being questioned in the knowledge that someone may have done something dishonest or that their conduct is under investigation, some people will offer more information than is necessary or helpful. This can take the form of an interviewee suggesting, without actual knowledge, that the management knew what was going on at the time, or simply offering their ‘with hindsight view’. One should keep in mind, in the context of an investigation which can become criminal, the most recent case in the Supreme Court of Ivey v Genting Casinos . An individual’s subjective view of their actions, as previously set out in R v Ghosh , are no longer relevant when considering whether they are guilty of criminal offences involving dishonesty, leaving a jury only to decide whether the accused person’s actions were objectively dishonest. A decision that may need to be made is whether or not the company should self-report to the SFO. Other than in cases of money laundering, there is no legal obligation for a company to report criminal conduct; although companies and individuals will want to bear in mind their obligations to co-operate with their regulators. However, the introduction of deferred prosecution agreements (DPAs) into UK law means that there is now an incentive to report to the SFO. In brief, a DPA means that a company can avoid a conviction for a criminal offence provided it abides by certain conditions which will usually include paying a fine, making reparations and agreeing to compliance monitoring for a set period. The earlier this is done, the more likely it is that the SFO will agree to a DPA. Even if an early report is made, DPAs are far from guaranteed and the SFO will consider a number of other public interest factors when deciding whether to enter into an agreement. These factors include consideration of the collateral effect a conviction would have on the public, employees, shareholders and pension holders. To date the SFO has entered into four DPAs. Three of these have been with large PLCs, namely Standard Bank, Rolls Royce and Tesco. The identity of the company involved in the fourth DPA is subject to reporting restrictions but it does appear to be an SME. The SFO may initially request voluntarily interviews, although they have the power to compel any individual or organisation to answer questions under s2 of the Criminal Justice Act 1987. Advising whether to refuse to co-operate as a volunteer and force the SFO to use their statutory powers can put lawyers representing the company in a difficult position. On the one hand, the more co-operative a company, the more likely it is to negotiate a DPA. On the other hand, if the SFO needs to compel an individual, then they are unable to use that interview against them in any subsequent criminal proceedings, which is clearly a useful protection for that person. The solution for individuals who are made the subject of a section 2 notice is to obtain independent legal advice. If their own lawyers advise them to insist on a compelled interview it is hard to see how the SFO can accuse the company of not co-operating. Indeed, separate legal representation for all potentially exposed individuals, including directors and in-house lawyers is a sensible precaution at an early stage as the interests of the company and the individuals can diverge. Having lawyers act for the company and its directors or staff separately does not mean there is or will be a rift in the camp, and where possible all instructed lawyers can and should work together. The company itself should avoid the temptation of voluntarily providing more information than is necessary to the SFO. Lengthy and overly complicated submissions to try to persuade the SFO not to prosecute can end up having the opposite effect and provide the evidence the SFO needs to bring charges. The prosecution then has a convenient document for use at trial with which they can highlight any inconsistencies between accounts. The spirit of the powers of compulsion contained in s2 is to obtain information from witnesses. If the SFO suspects someone of a criminal offence, then they should interview them under caution not s2. Interviews under caution can be used in criminal proceedings as evidence against the interviewee but there is a right not to answer the questions. It is important to remember that the SFO needs to prove their case, not the other way around. As with interviews, there are a number of ways that the SFO can gather documentary evidence. If faced with a section 2 notice compelling the production of documents, the first thing to consider is whether the documents requested are, in fact, relevant to the investigation. If the request is too broad, then a dialogue can be opened with the SFO to try to narrow the ambit of the request. Documents subject to legal professional privilege (LPP) do not have to be disclosed and this can be argued with the SFO. Even if the ground is currently a little shaky on the application of LPP in relation to internal investigations, there is no reason why it should not apply to other appropriate documents. In-house counsel will be very aware of privilege but should, in the context of an internal investigation be mindful of the recent case of Serious Fraud Office (SFO) v Eurasian Natural Resources Corporation Ltd . The SFO successfully challenged claims to privilege by a company over various documents that were produced by lawyers and forensic accountants during an internal investigation into allegations of bribery and corruption. It is the first case in which the English court has had to consider a claim for litigation privilege in which the adversarial litigation said to have been reasonably in contemplation was criminal, rather than civil. The ruling suggests that litigation privilege is going to be very difficult to claim in relation to many internal investigation materials, sparking concerns in the legal market that the decision would deter companies from self-reporting. Permission has been granted to the company to appeal the decision. It is also important to think about where the documents are held. If the information exists in hard copy outside the UK, then arguably the production powers of the SFO do not extend to other jurisdictions. Electronically held data creates a more complicated problem. It raises questions about whether data has a fixed location; but if the information is held on servers in a different country, it may be arguable that they are not disclosable even if they are accessible from the UK. Instructing criminal lawyers should be considered at an early stage, not least because of their independence but of their natural tendency to manage information with a criminal trial in sight. The first three principles in the SRA Code of Conduct emphasise the duties solicitors have to uphold the rule of law and proper administration of justice and act with integrity and independence. Whether a company decides to self-report to the SFO or deal with the problem internally, isolating the above issues and maintaining focus will help not turning a drama into a crisis. Antony is our Senior Partner and one of the founder members of Bivonas Law. 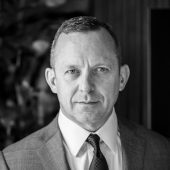 He specialises in managing large scale commercial disputes, criminal and regulatory investigations and prosecutions. Antony was in business before qualifying as a lawyer and has 32 years’ experience working within a variety of industry sectors.